For so long we’ve focused primarily on residential real estate investing. This week we’re going to start digging into the possibilities of investing in commercial real estate. There are so many different types of commercial investments and each has it’s own particular skill set to own and operate in a profitable manor. 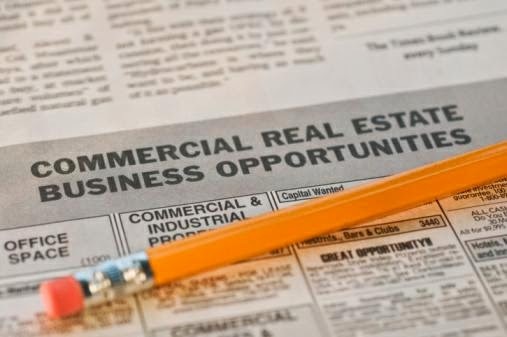 Commercial real estate typically includes things such as large multifamily, office, industrial, warehouse, retail, etc. Each of which has it’s own special ground rules to be a successful investor. Our member and good friend, Frank Martin, will be leading a discussion on commercial investing and he promised to bring some numbers to the table including things such as what you would expect to pay for various types of commercial property and what rents you would expect to get on these properties. We all know it takes allot longer typically to rent a commercial property but these commercial tenants most often stay much longer. You also don’t have the headaches of tenants calling and complaining about this or that being broken as commercial leases typically require the tenant to fix all maintenance issues with exception maybe of the exterior walls and or roof. There are some downfalls to commercial landlording, however, there are many benefits that make up for it. The path that I have seen many successful investors take is they get started in residential investing and at some point in time or another they end up switching over to commercial investing due to it being much easier to manage. Then somewhere further down the road their pockets are fat and they own an empire. That’s where I’m going. My wallet is already full… Now I need a clear and concise, risk free roadmap from point A where I’m standing directly to point B. Come on out to the meeting this week to get your toes wet in commercial investing. Over the next year we are going to continue to dig deeper in these areas of investing. REI of Virginia plans on giving you the expertise so if a commercial investing opportunity presents itself in the future you will be armed with education to make a wise financial decision. Like, residential real estate, commercial real estate is increasing high soar in the market and people are now a days, investing in commercial estate to earn extra income. There are number of companies providing the service of commercial real estate and while surfing on internet, I came across a site named as Flagler development which is a commercial real estate developer in Florida.